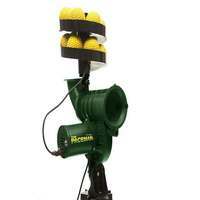 RapidFire Mega Rebounder – Catching, Reactions, Ball Control & More! 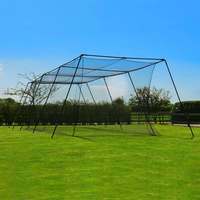 Expertly created from premium-grade materials, the Mega Rebounder guarantees exceptional durability. 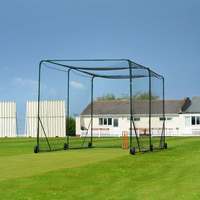 The 1mm thick galvanised steel frame (powder coated) combines with the 2mm PE for a professional performance in all conditions. 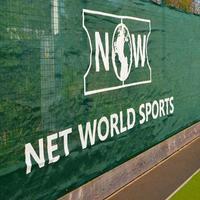 Manufactured using 2mm PE knotless netting, the rebounder features a 28mm mesh allowing it to deliver an extreme bounce for a variety of different balls. 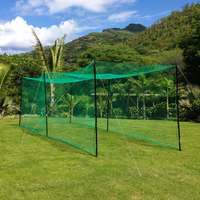 The high-quality netting can be easily secured to the frame using the bungee tie cords provided. 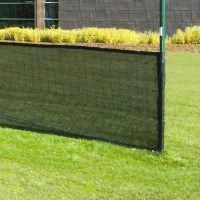 The versatility of this rebound net is what really sets it apart. 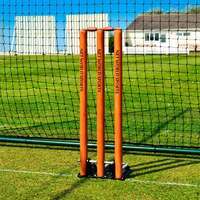 Designed to test your catching, reaction speeds, ball control & ball contesting skills, it’s an excellent tool for a variety of sports including cricket, GAA, rugby, aussie rules, American Football, baseball and more! 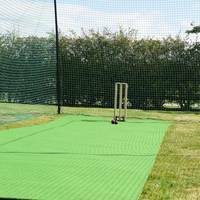 Whether you’re looking for some additional garden practice or trying to add a new dimension to your training, this RapidFire Mega Rebounder will transform the way you practice. 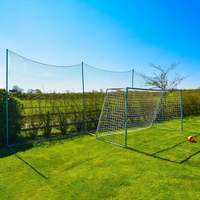 Available in two sizes; Small (5ft x 6ft) & Large (7ft x 8ft), this rebound net is an excellent training tool for all ages and abilities. 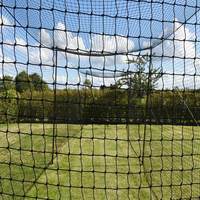 Created using high-quality materials, this rebound net will deliver world-class durability to ensure your rebounder will be a part of your set-up for seasons to come. 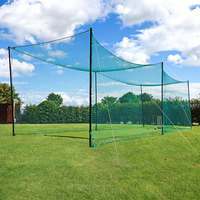 This professional-spec rebounder is an excellent choice for cricket, rugby, aussie rules, netball, baseball, rounders and more! 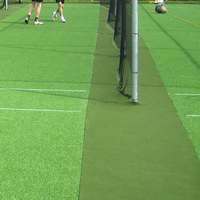 An excellent choice of training accessory for sports where catching takes centre stage, the Mega Rebounder features a high-quality 2mm knotless polyethylene 28mm mesh net which produces a high-performance extreme bounce for high and low catching drills. 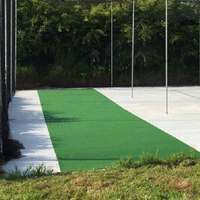 The impressive netting also allows for excellent ball contesting training thanks to the unpredictably of the bounce off the surface, particularly when using rugby and aussie rules balls. 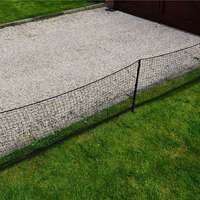 For a quick & easy assembly, the netting comes with a pack of bungee tie cords included. 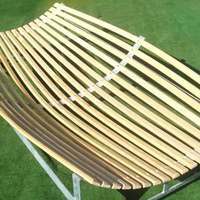 The frame, which comes with a fully adjustable angle, has been expertly manufactured using 1mm thick galvanised steel for exceptional strength & durability. For greater robustness, the 38mm OD frame has been given a black powder coating to give it excellent resistance to rust & corrosion. 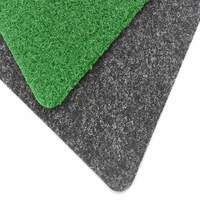 The elite construction is 100% weatherproof and features heavy duty rubber feet for supreme grip on all surfaces. For easy storage & transportation, the RapidFire Mega Rebounder can be folded completely flat. 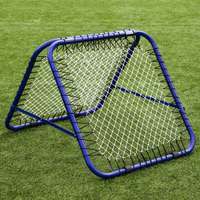 PLEASE NOTE: This highly-versatile RapidFire Mega Rebounder is an excellent training tool for a variety of sports. 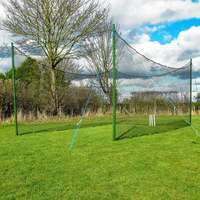 Designed to test your catching, reaction speeds, ball control, accuracy & ball contesting drills, this rebound net will take any training set-up to the next level.